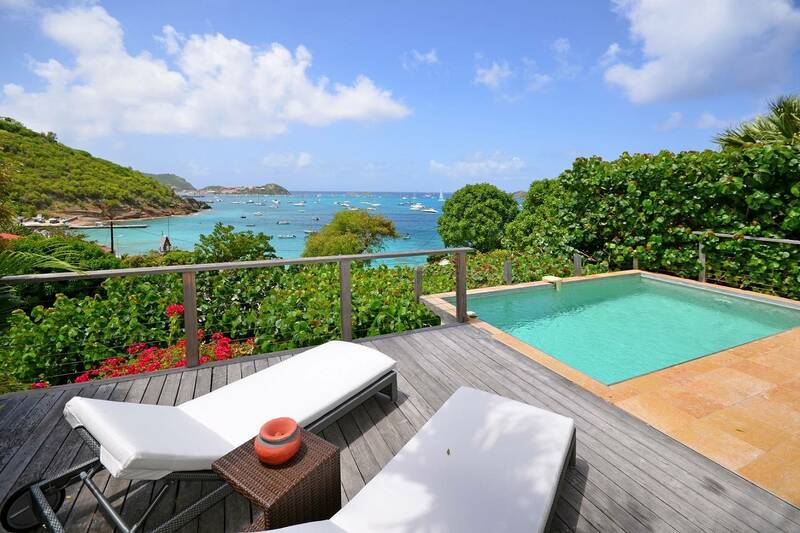 Dream About: A lovely villa with a view of a quaint fishing village and its gently bobbing boats. 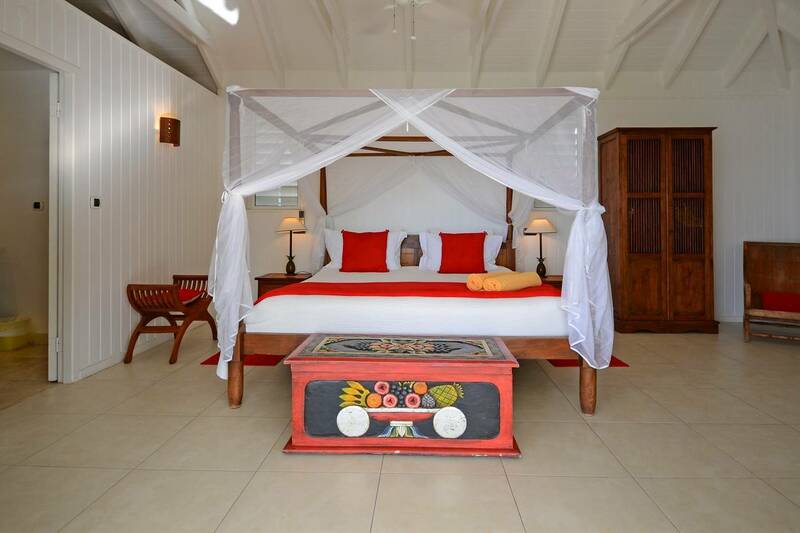 This five bedroom five and a half bathroom compound consists of two separate villas, each with a pool making this accommodation perfect for couples or a family. 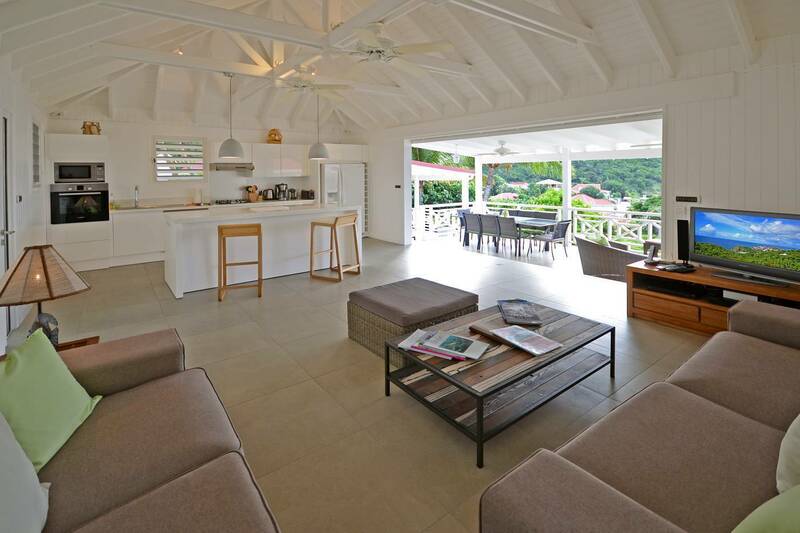 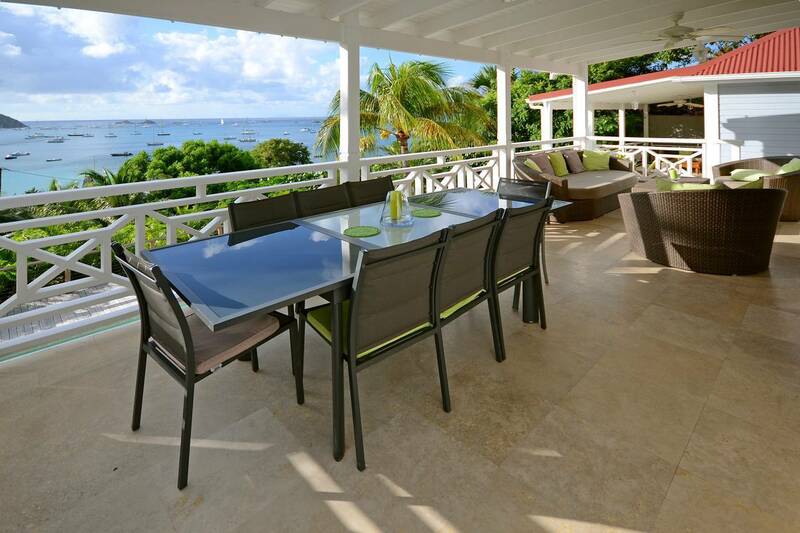 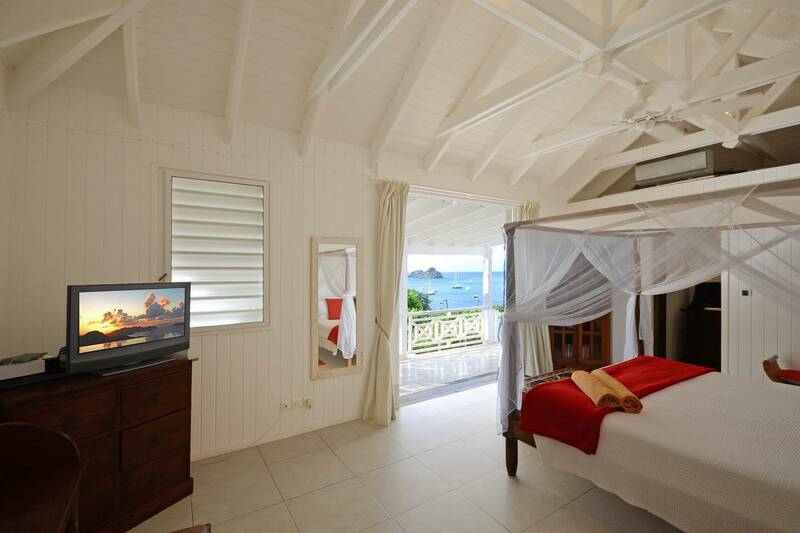 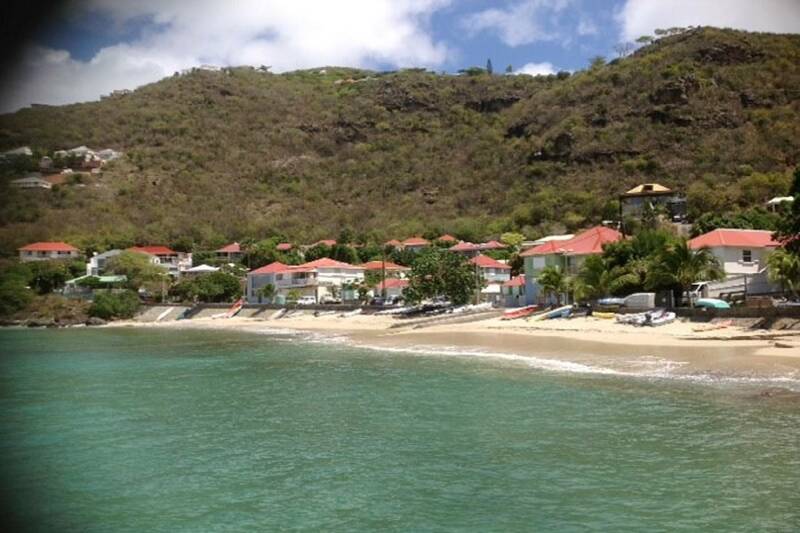 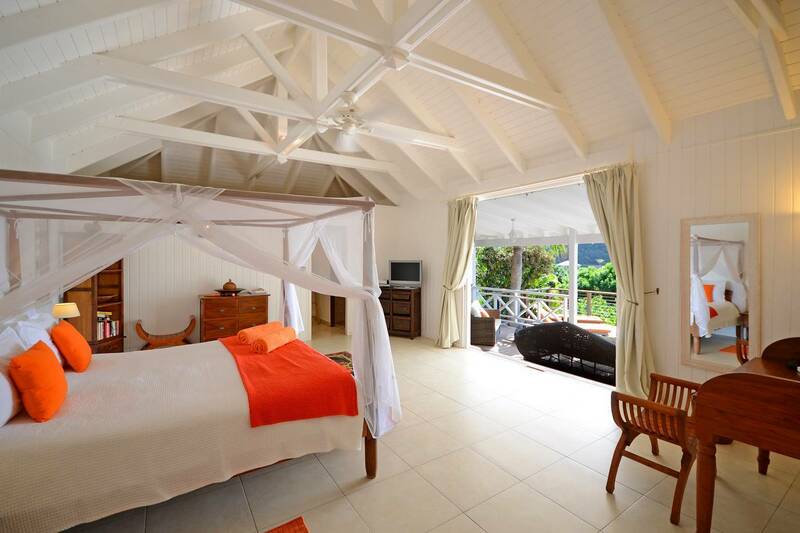 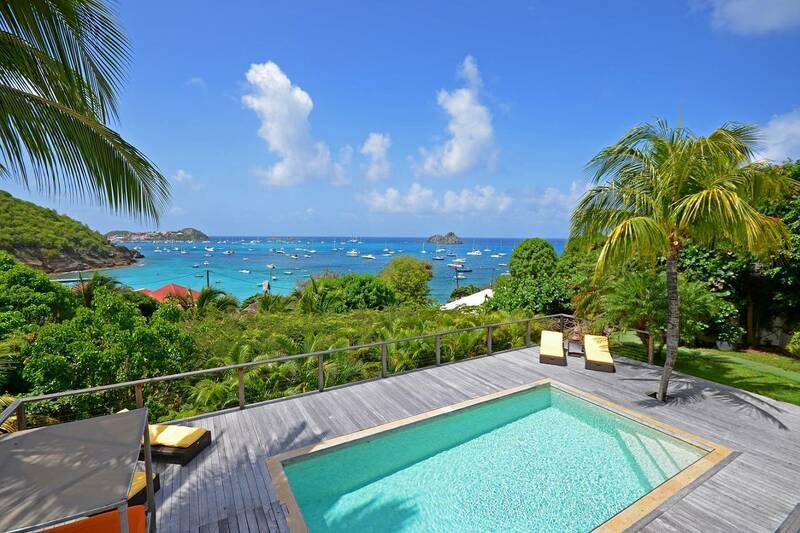 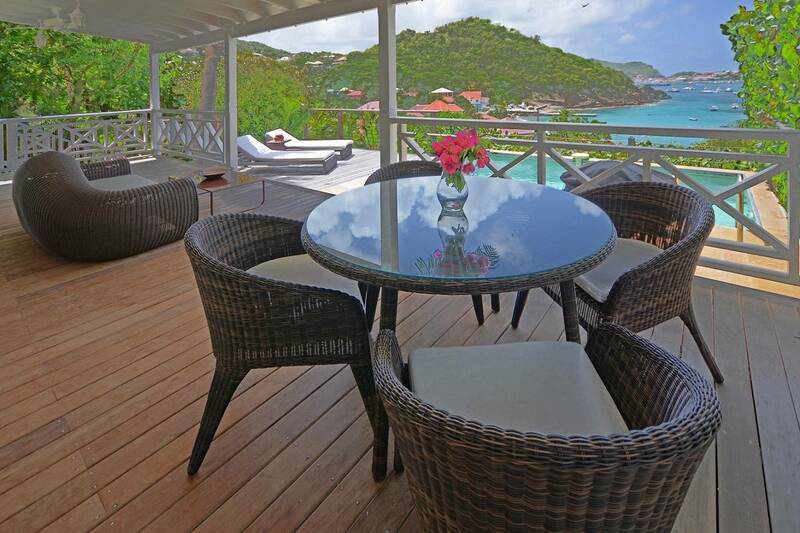 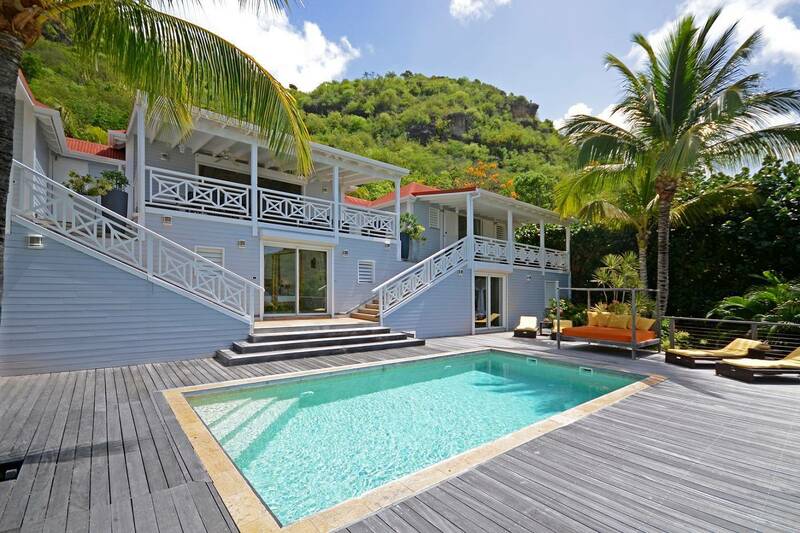 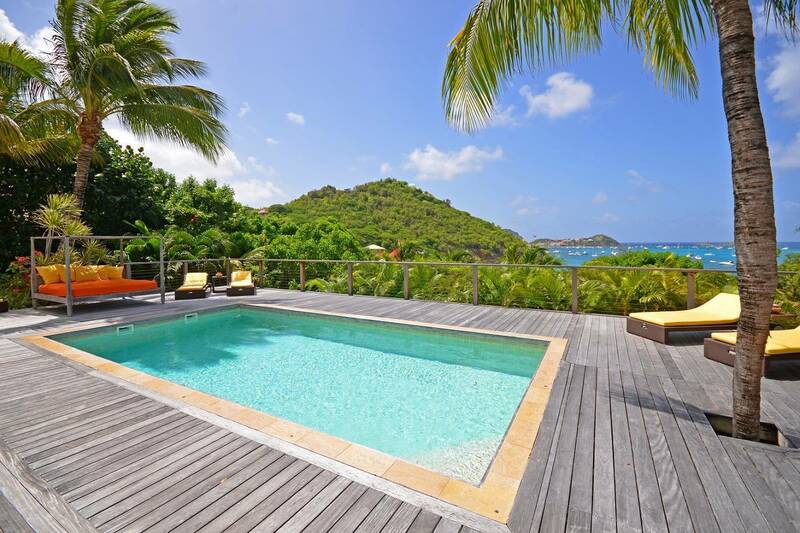 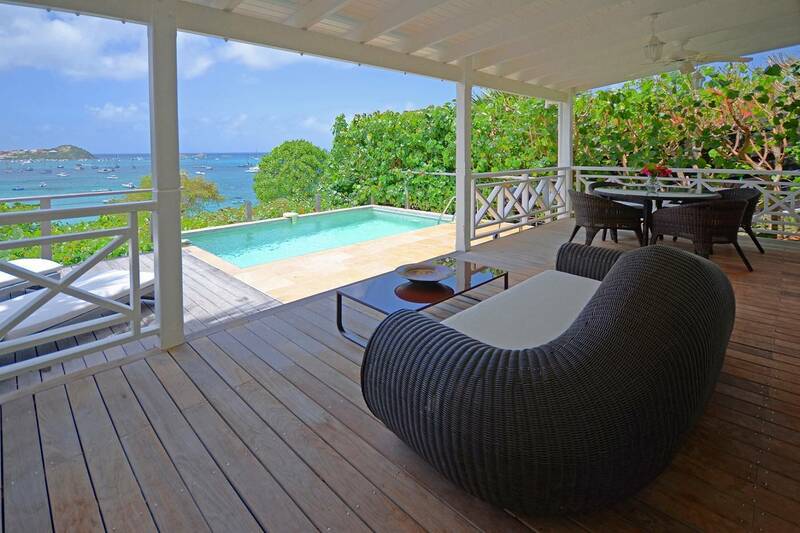 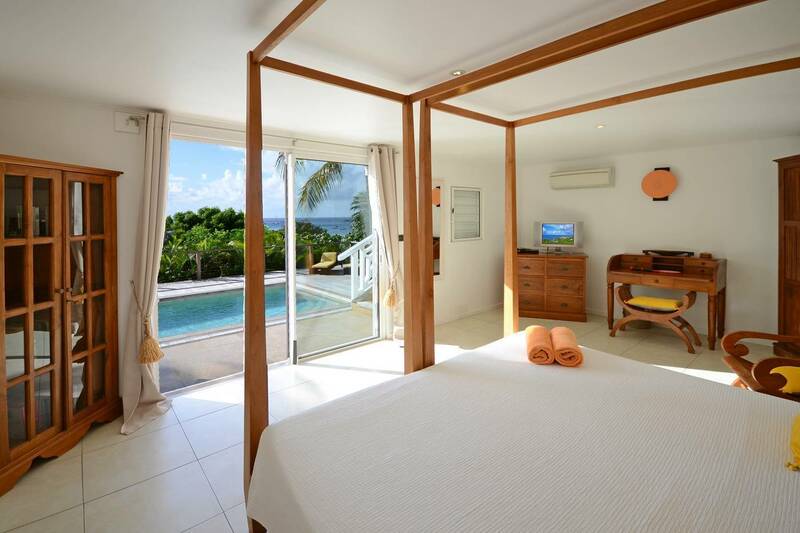 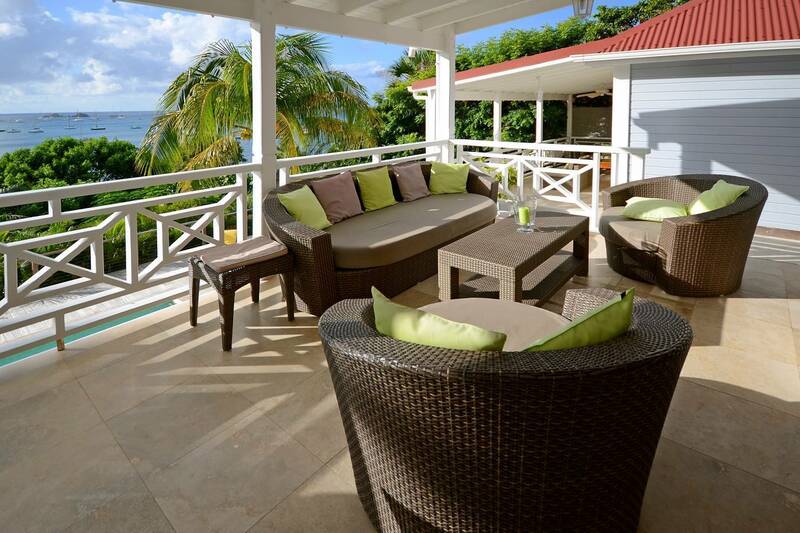 The view extends all the way to Gustavia and is truly a delight to behold. 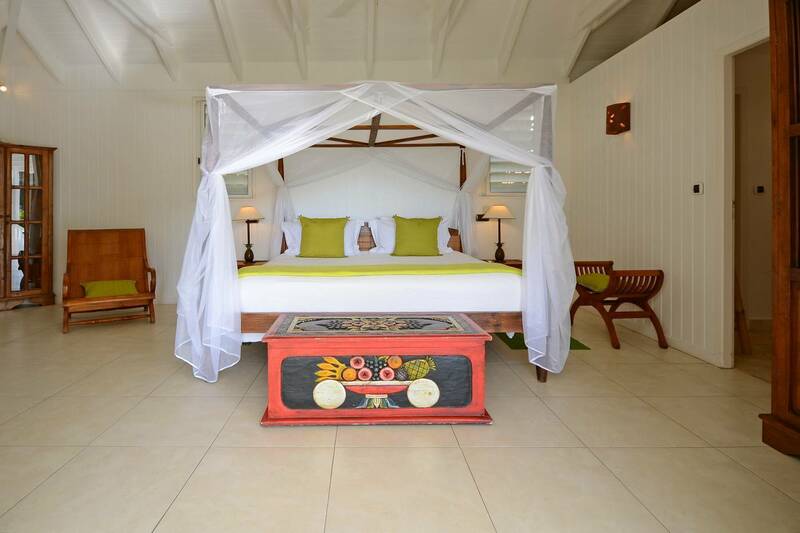 The furnishings are Indonesian. 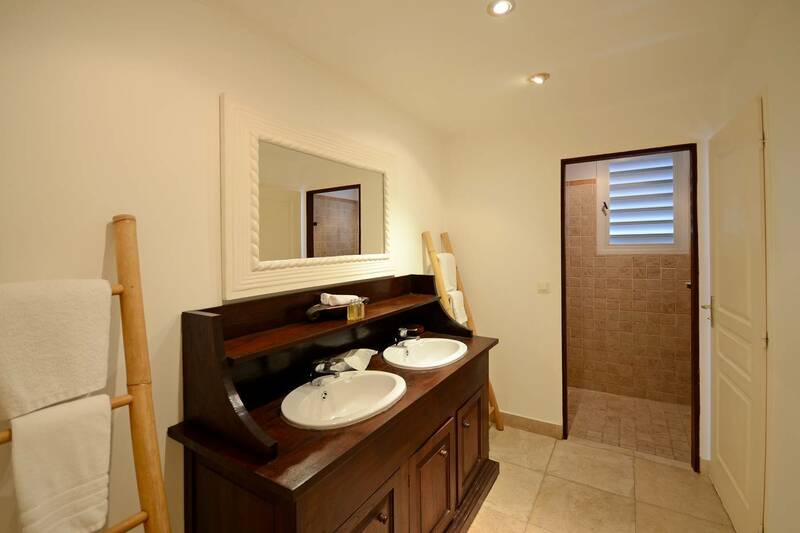 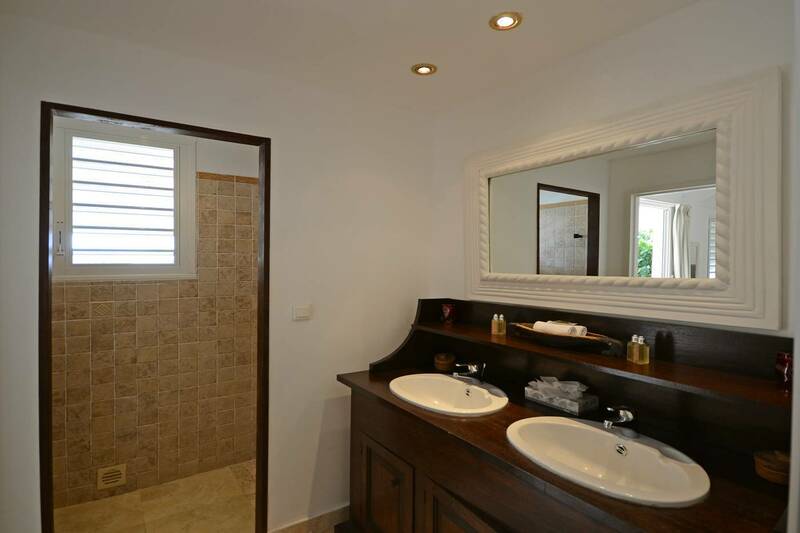 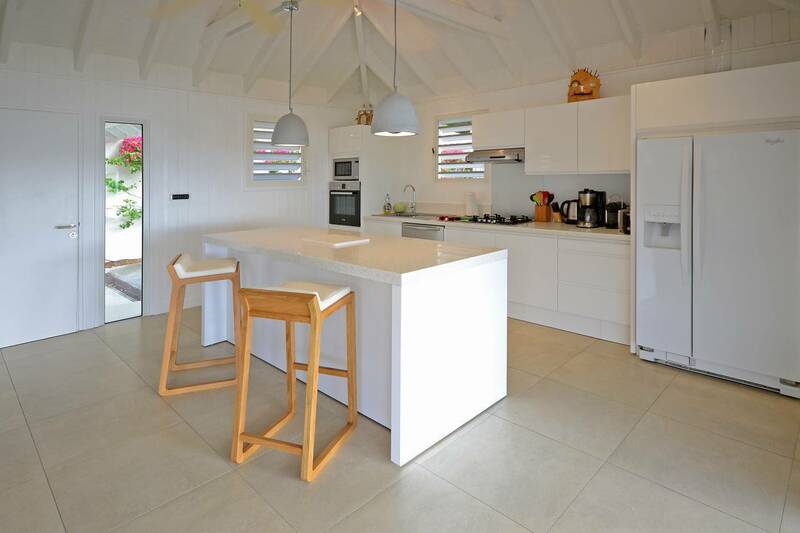 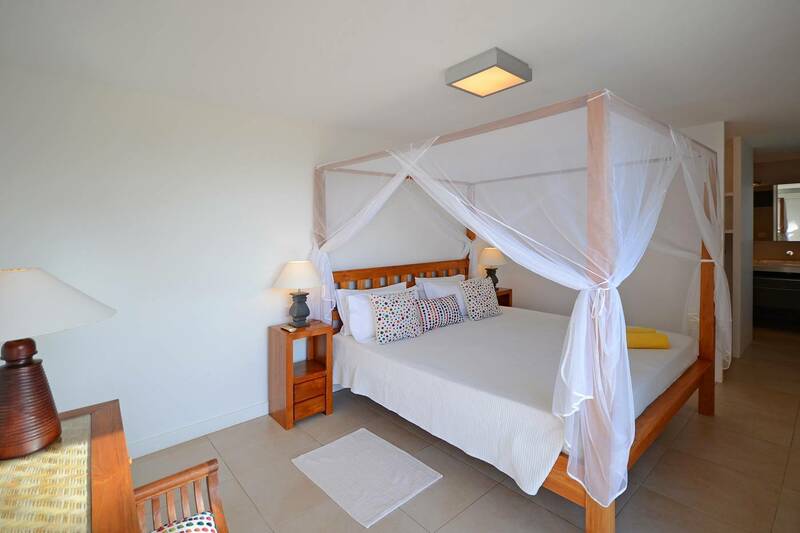 The main villa has four bedrooms (3 kings and a twin) with en suite baths, indoor and outdoor living, a fully equipped kitchen, and a covered dining terrace. 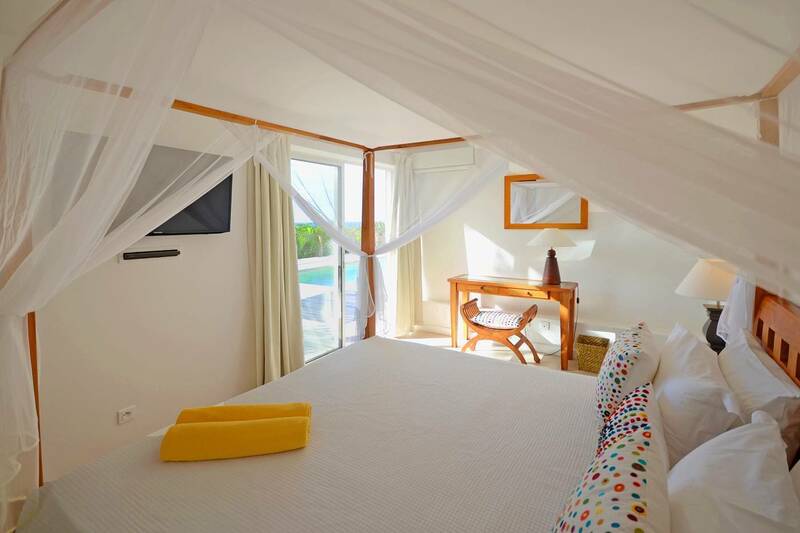 The free-standing guest villa has one bedroom with en suite bathroom, an outdoor covered terrace as well as a kitchen and a pool. 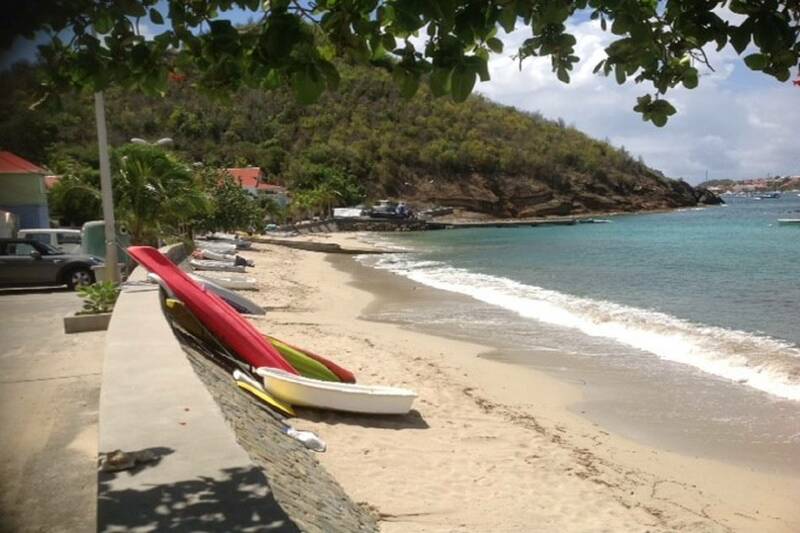 Guests can walk to the quaint fishing village of Corossol, take a swim and gaze at the boats that are moored there. 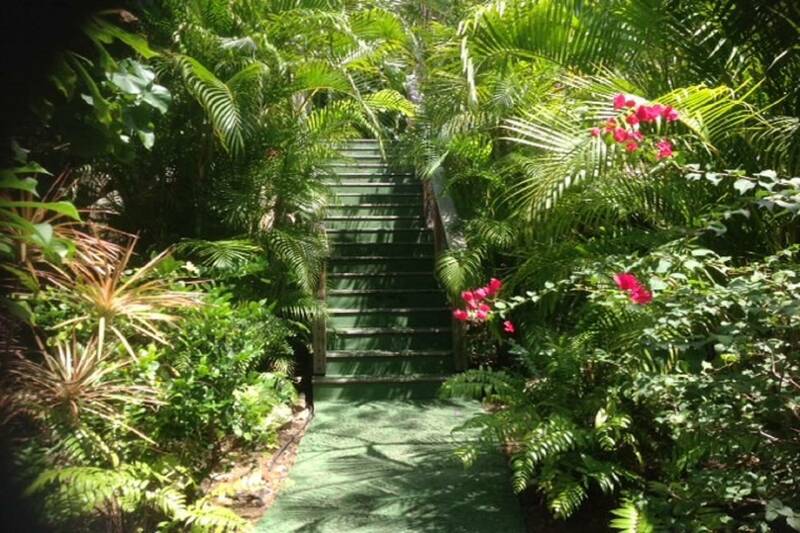 The path that winds down to Corossol Beach. 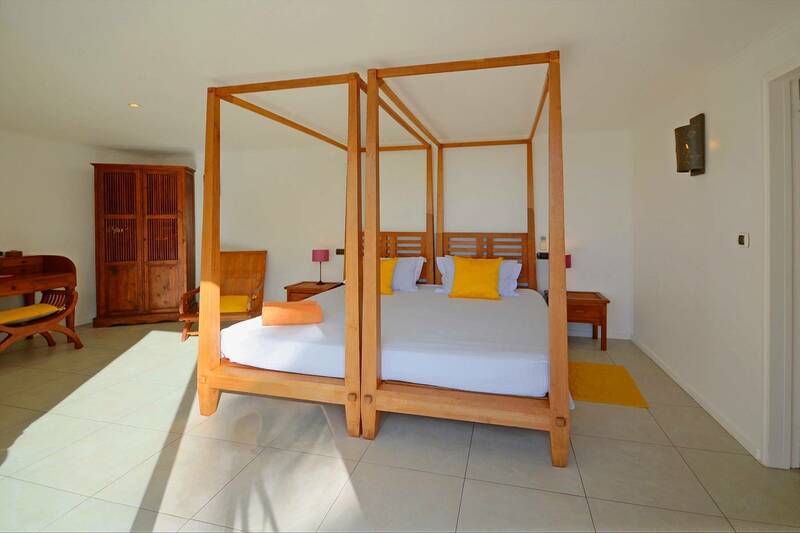 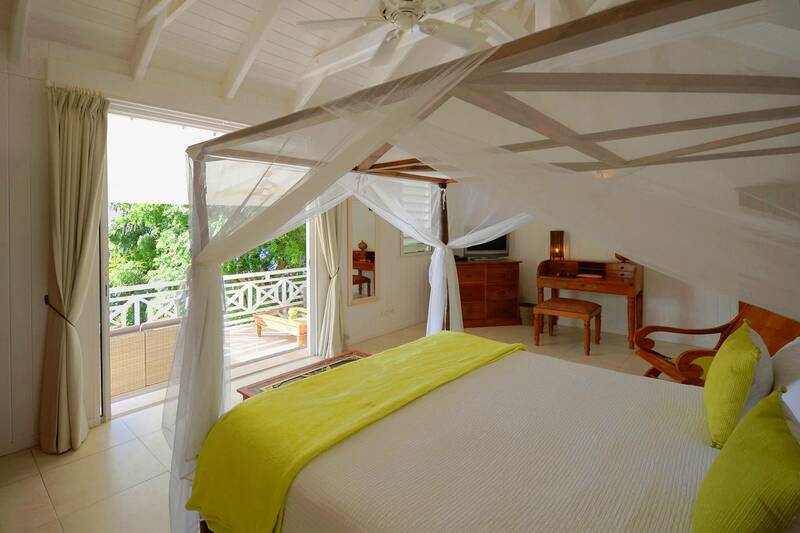 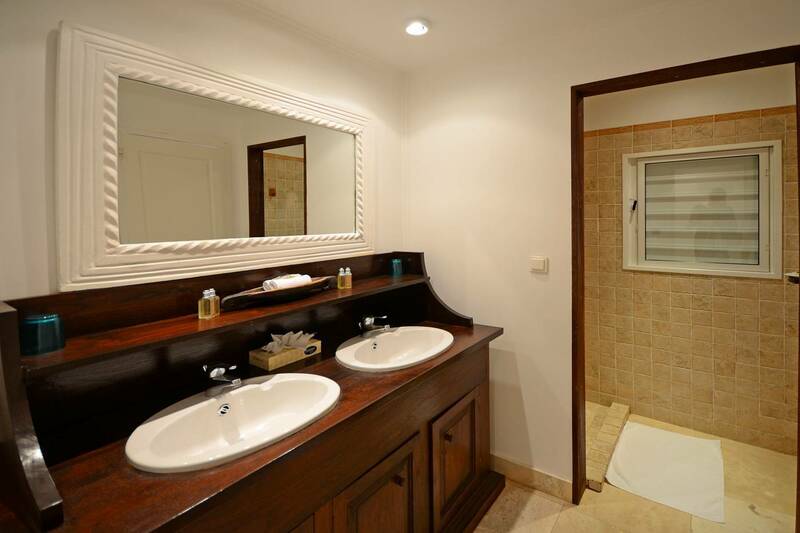 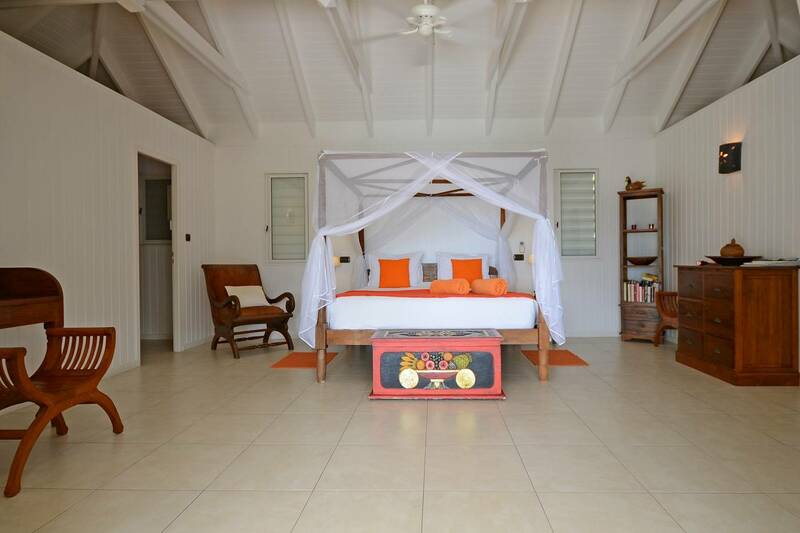 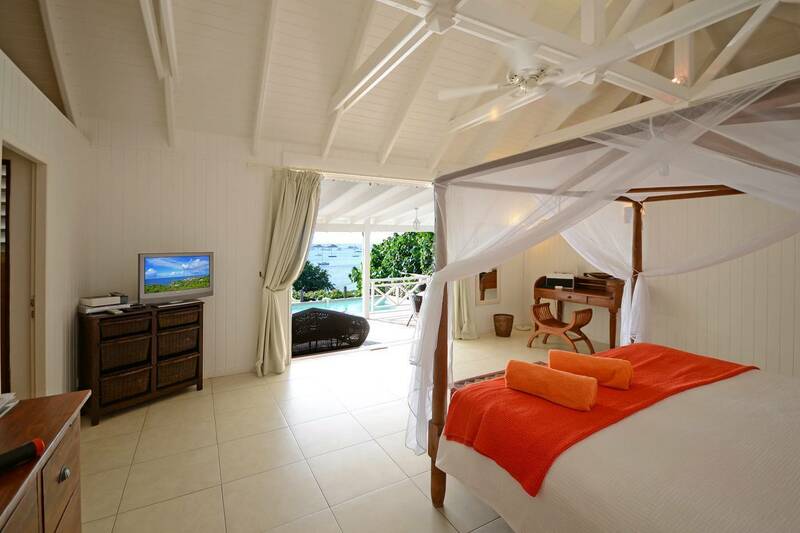 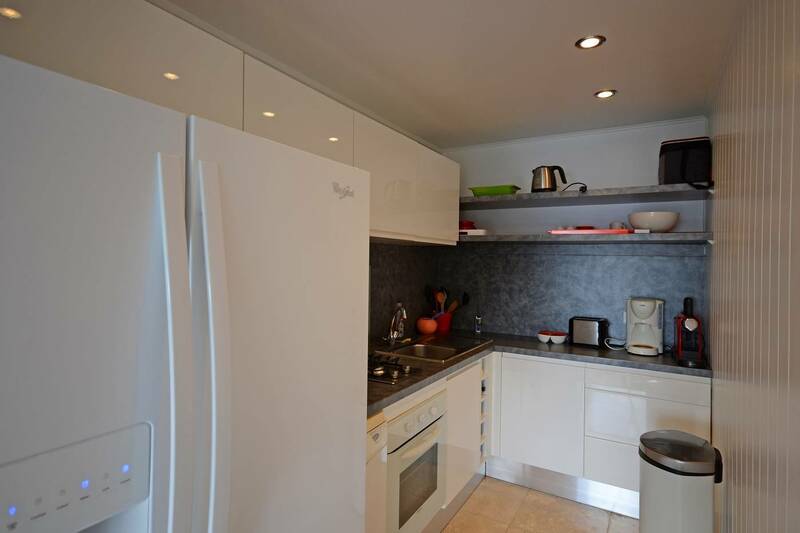 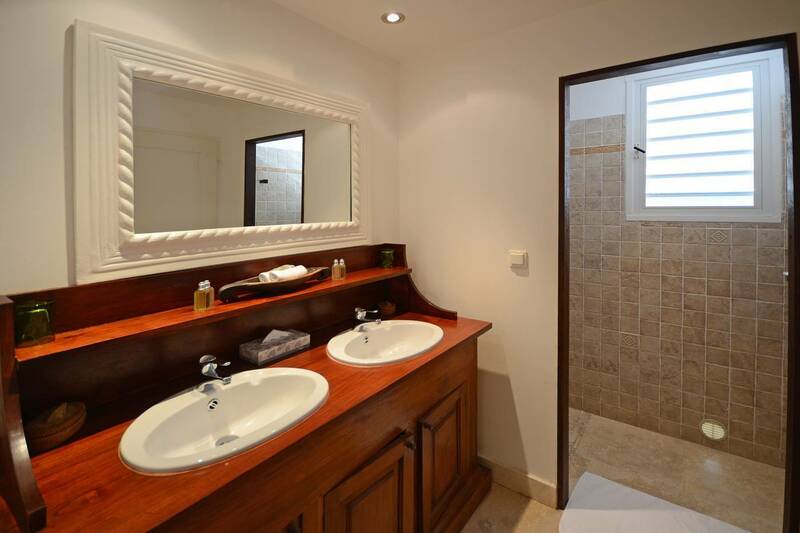 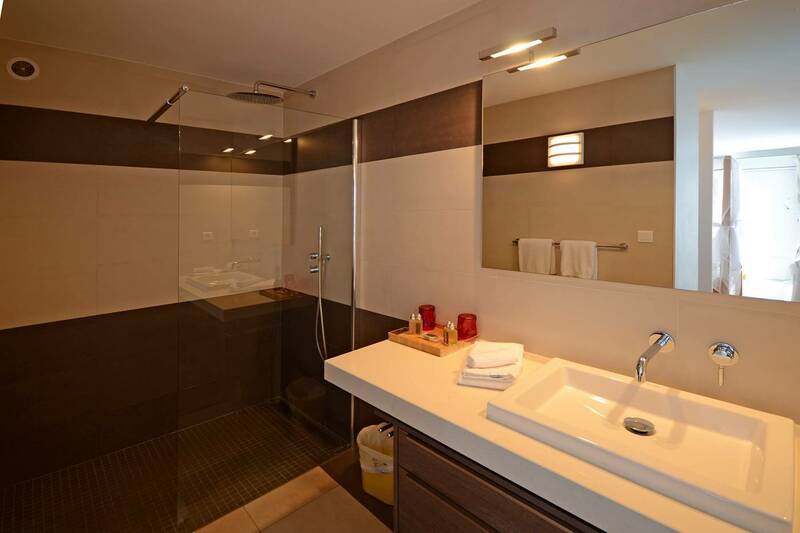 Four bedrooms have baths en suite; the 5th beddroom is in a separate villa with its own pool, kitchenette and terrace.